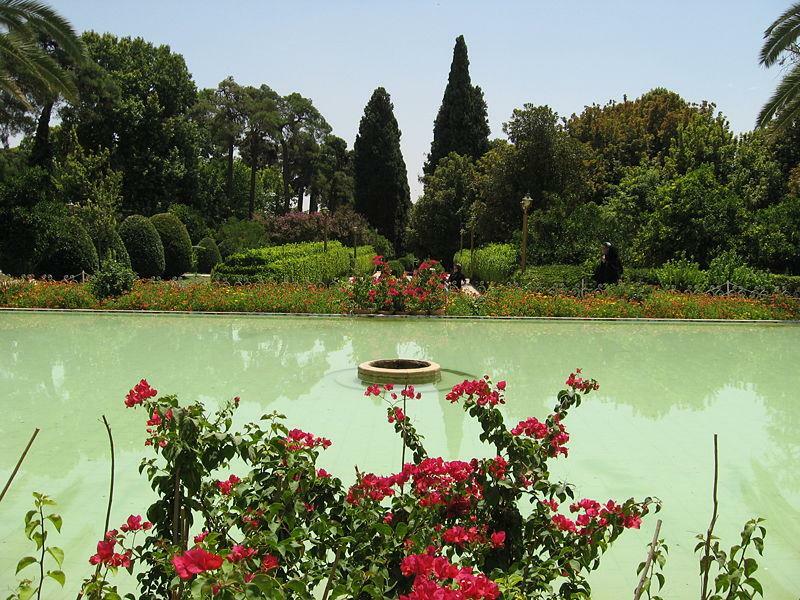 Eram Garden is a historic Persian garden in shiraz, Iran. 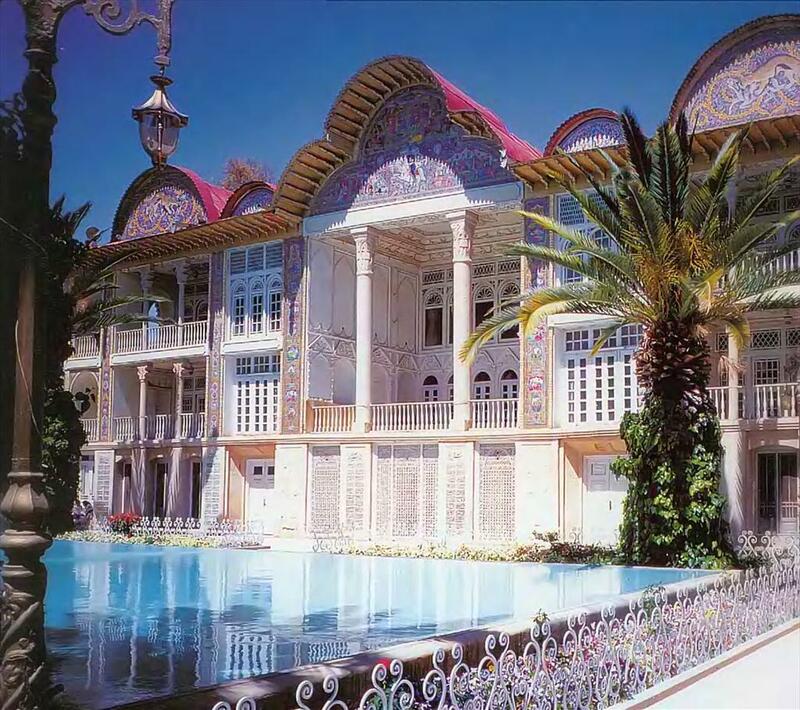 Eram is the Persianized version of the Arabic word "Iram" meaning heaven in the Muslim's book of Koran. 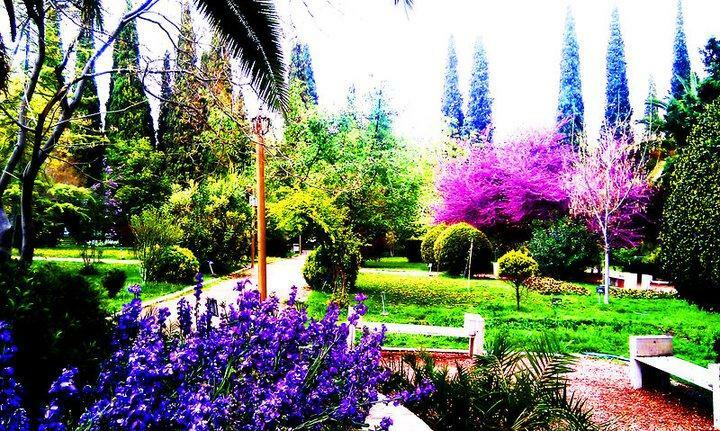 Eram Garden therefore is so called for its beauties and aesthetic attractions resembling "heaven." 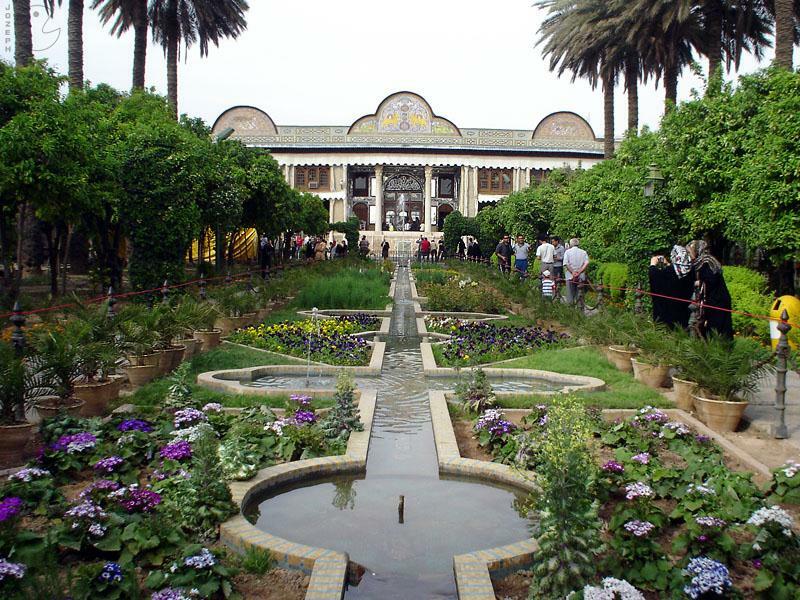 The garden, and the Qavam House within it, are located on the northern shore of the Khoshk river in the Fars province. 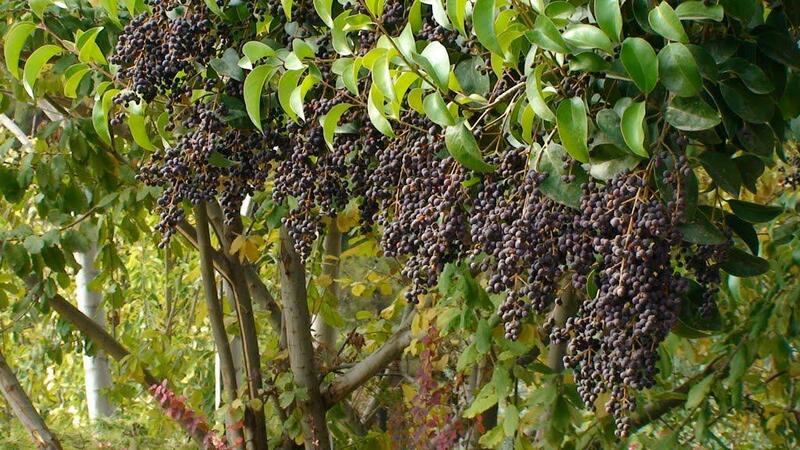 Apparently, its history goes back to the period of the Saljuq Dynasty (A.D.1038-1194). 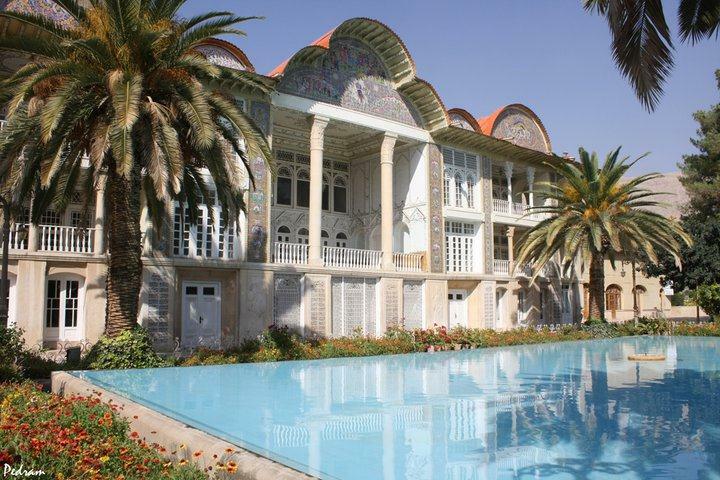 Since its construction and until the late 18th century, it was predominantly used by the local rulers and Persian monarchs. 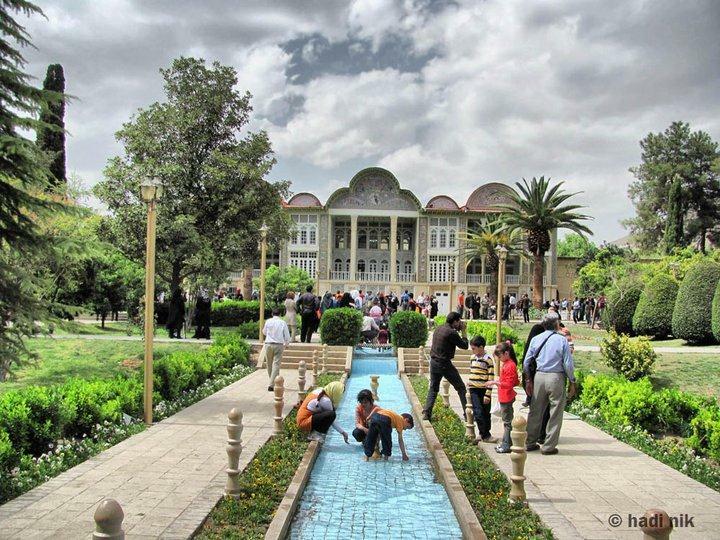 At the end of the Zand Dynasty (A.D.1750-1794), the Qashqaie tribal Chieftains took over the garden and the one of them called Jani Khan and his son constructed a building within it. 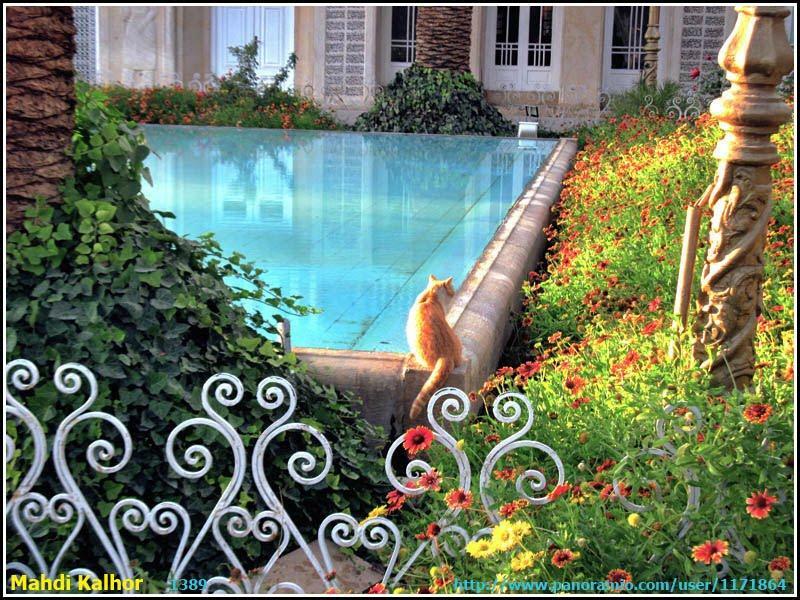 At the time of Nasir ud-Din Shah Qajar (A.D.1848-1896), a Shirazi nobleman, Haj Nassir ul-Mulk, bought the garden from the Qashqaie overlords and constructed the present charming building. 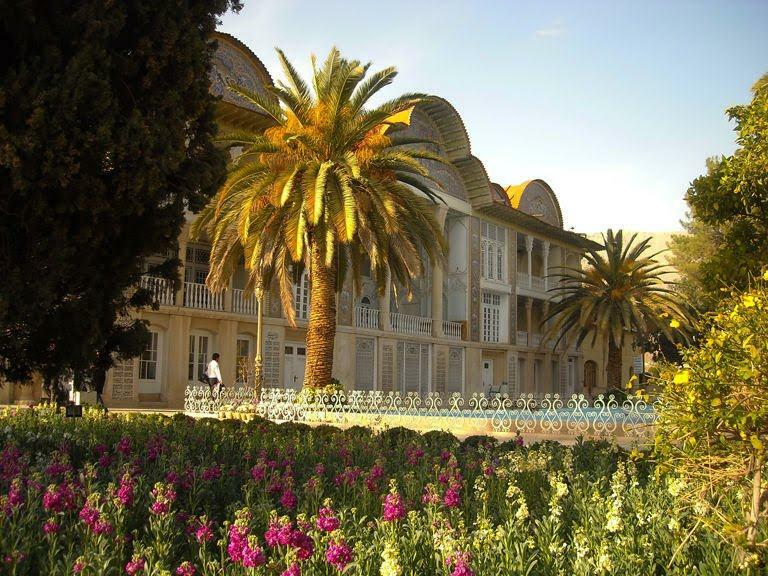 After passing through a chain of owners, ...see more the garden was finally handed over to shiraz University in 1963. 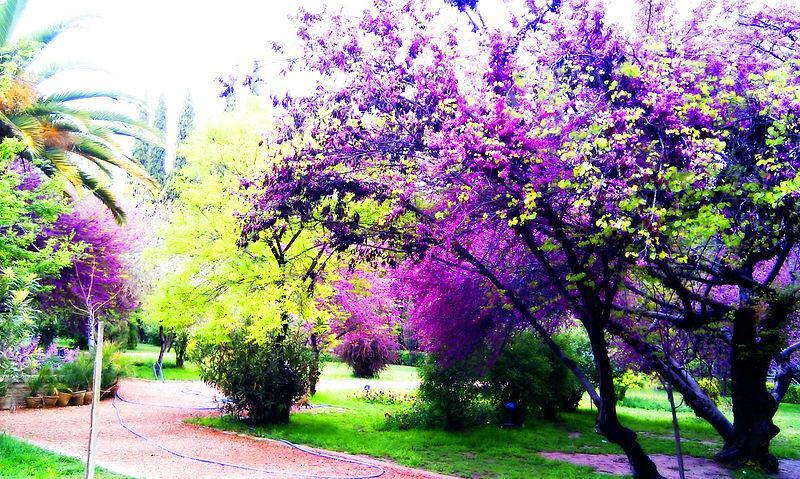 It is now being used as a botanical garden by plant science researchers and general public. 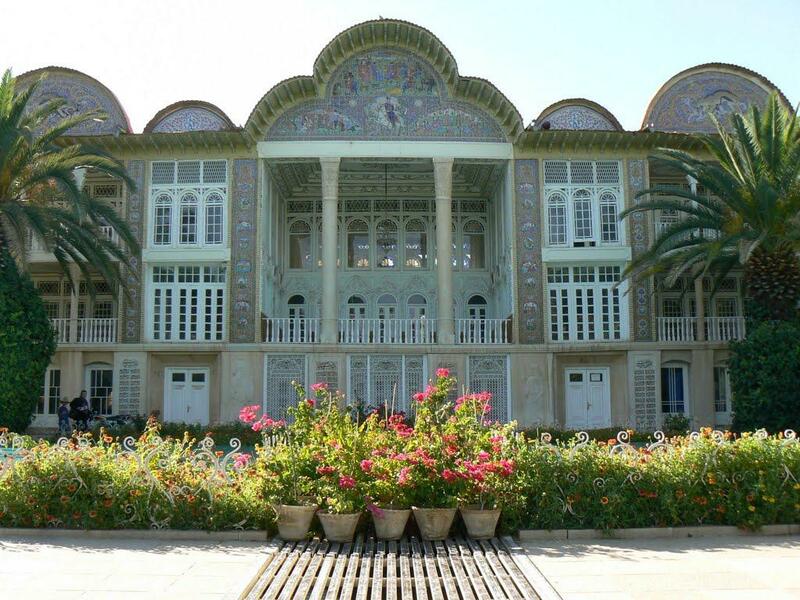 The main building of the garden consists of three stories. 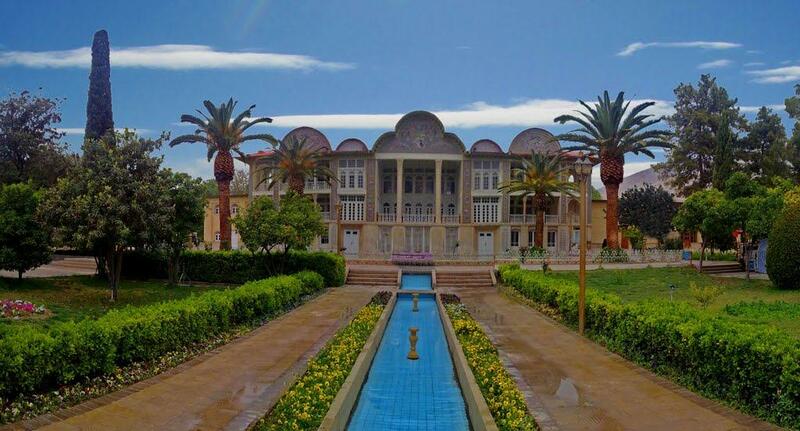 In the basement one can see a beautiful small pond while on the second floor, at the center of the building is a large porch with two high standing pillars. On both sides of the large porch, two other small porches can be seen facing the rays of the morning sun. 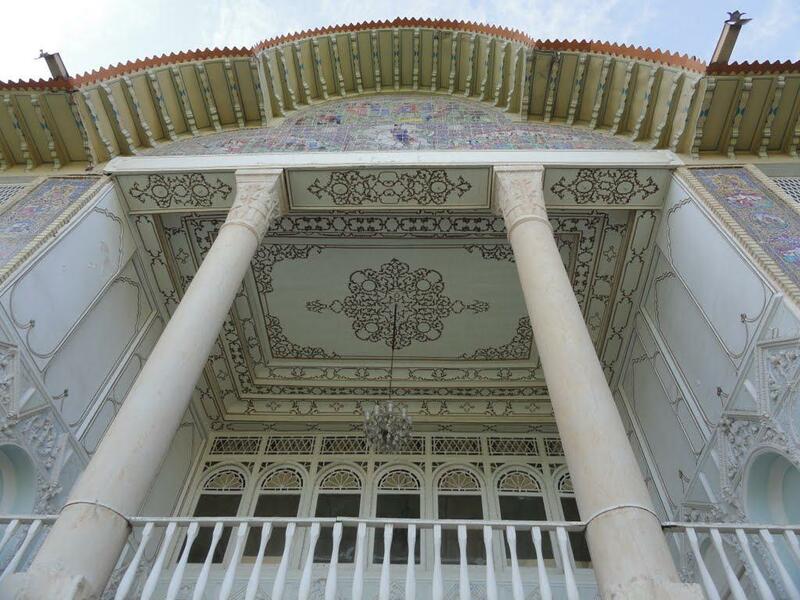 Two-meter high solid stone plates decorate the external façade of the building six of these plates have inscriptions in beautiful cursive Persian, depicting poems by some of the most famous Persian poets, notably Sa'di, Hafez and Shurideh. On the top of the façade, there are three large and two small crescent-shape tile works, each illustrating an epic or religions event painted on seven-colored titles. 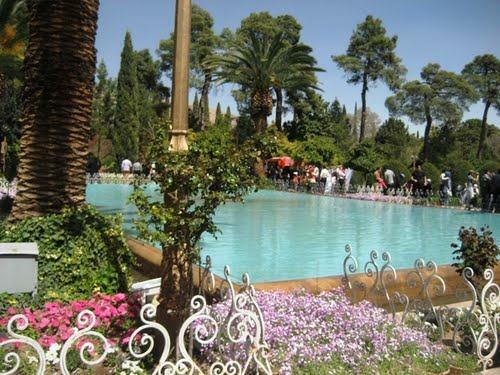 The seraglio is located in the back and is allocated to the convenience of the family members. 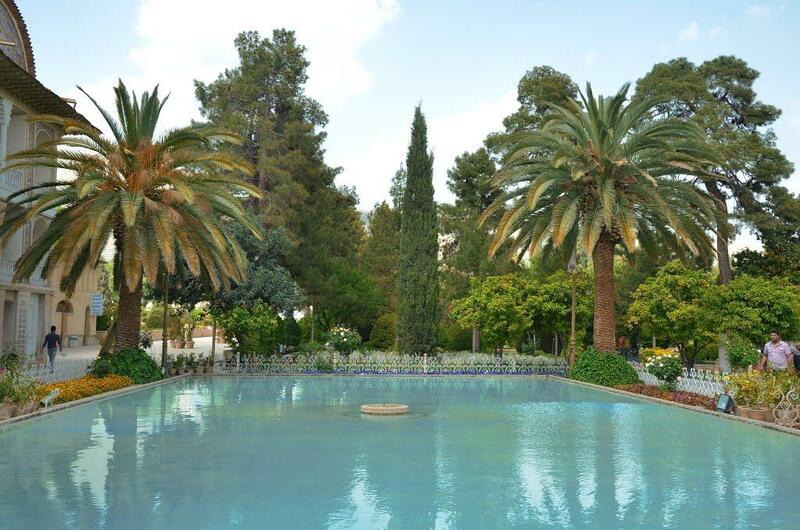 The building also hosts a large pond in front of it. 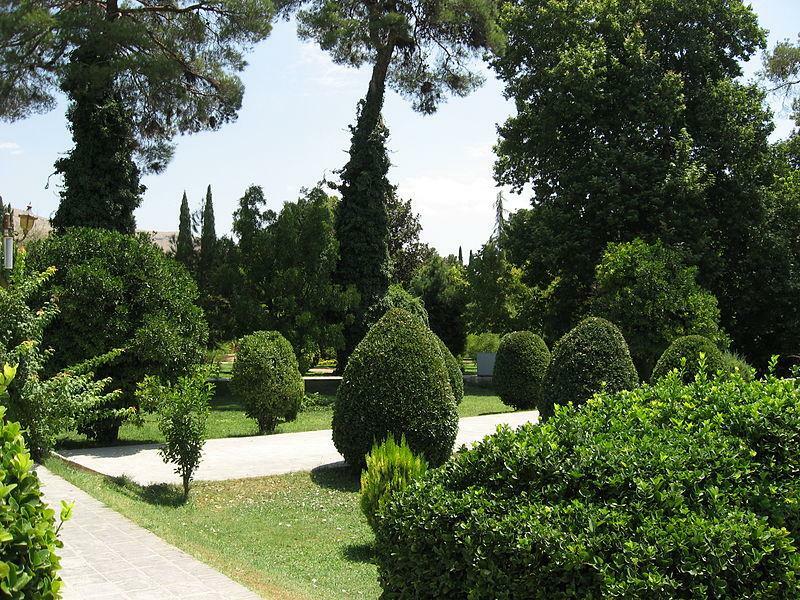 The presence of tall and beautiful cypress trees around the garden captures everyone's attention. 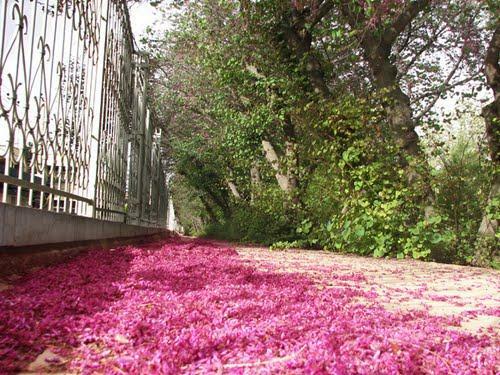 The pleasant fragrance of flower along with the song of nightingales and the alluring dance of blossoms enchant the visitor. 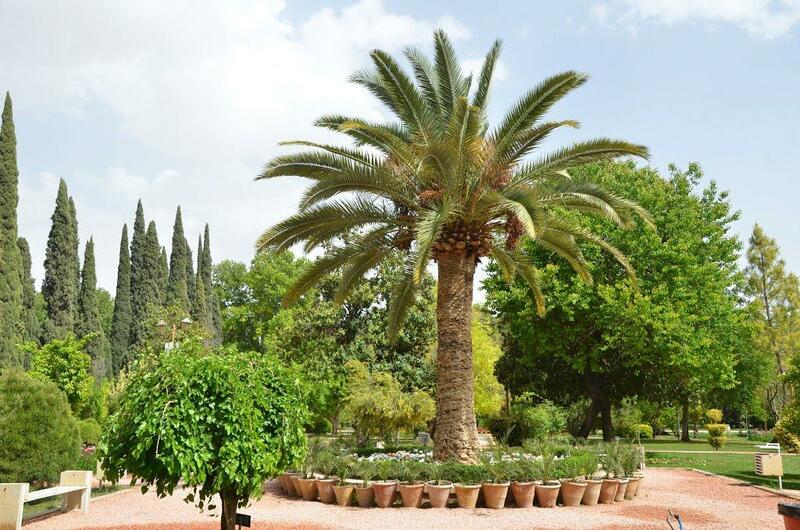 In 1980, this garden was converted into botanical garden by shiraz University. 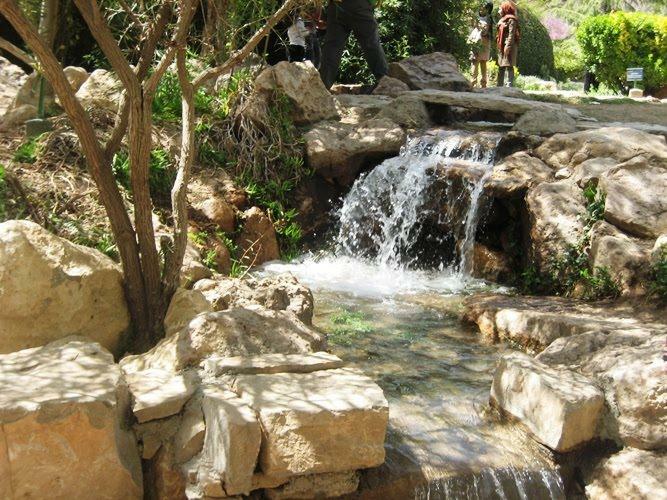 Since 1999 a comprehensive project entitled The Reconstruction and Rehabilitation of the Eram Garden implemented by the vice-chancellor for Research has enhanced the beauty and the magic charm of the Eram Garden. 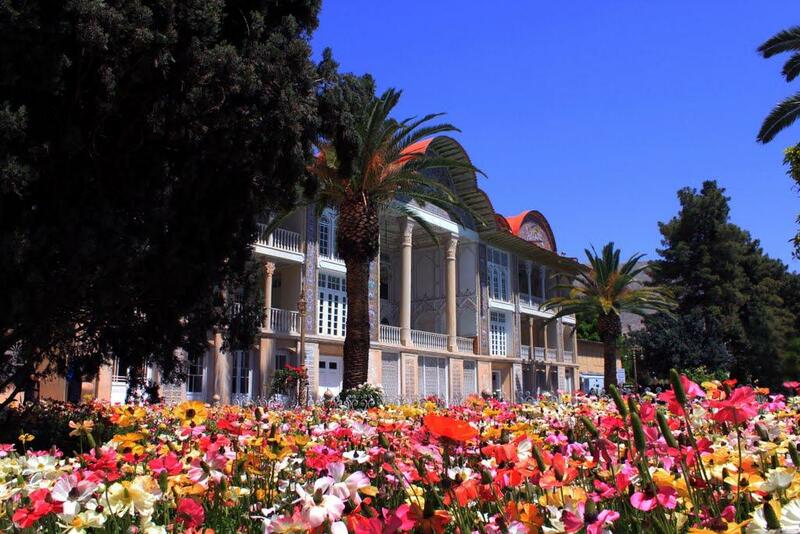 Today Eram Garden and Qavam House are within shiraz Botanical Garden (established 1983) of shiraz University. 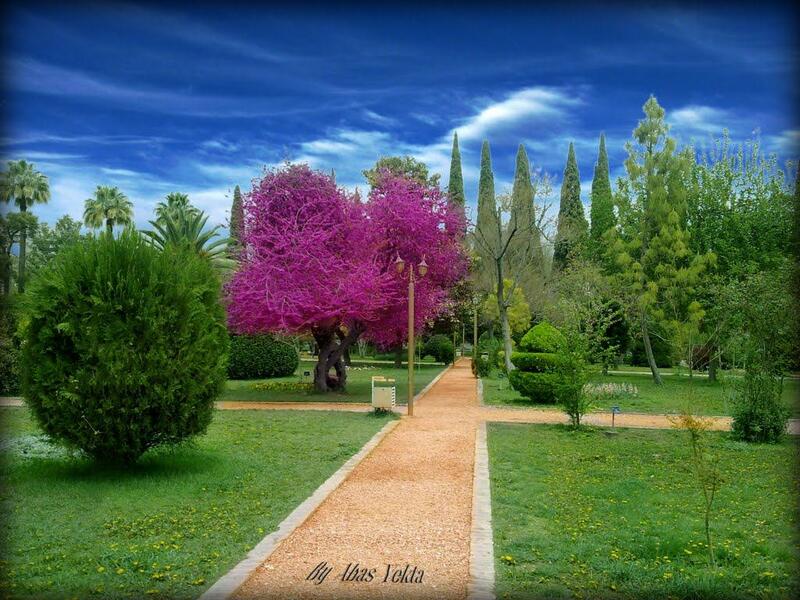 They are open to the public as a historic landscape garden and house museum. 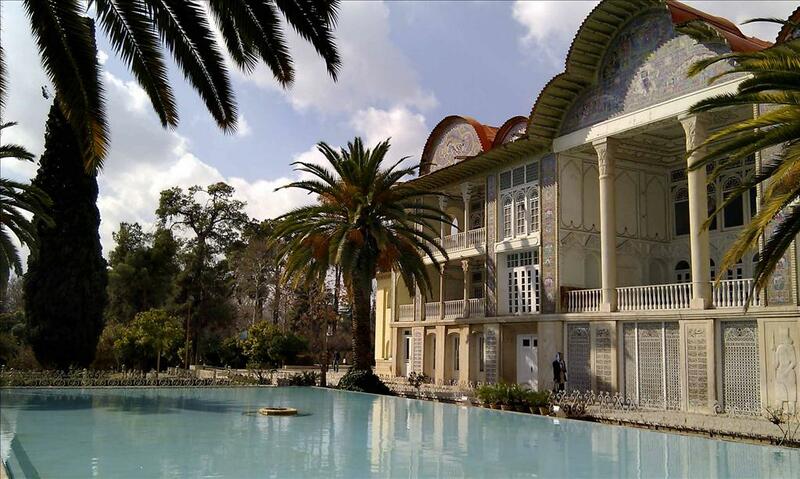 They are World Heritage Site, and protected by Iran's Cultural Heritage Organization.